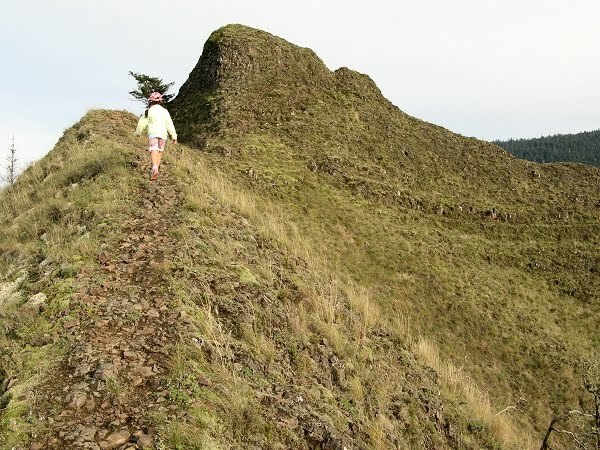 A sunny weekend in mid-November beckoned us to the knife-edged ridges of Munra Point in the Columbia Gorge! Off the beaten path, this unmaintained footpath led up almost 2,000 feet to this volcanic rock ridge high above Bonneville Dam. The ridge reminded me of the ridges of Oahu's Ko'olau Mountains where I wandered as a kid! A bit of Hawai'i in Oregon!